Located in historic Montgomery County, Gwynedd Valley, PA can be found southwest of the Wissahickon Creek. Chic’s Limousines is proud to serve the residents of Gwynedd Valley with posh party buses and well-appointed SUVs and town cars. No matter the size of your party, Chic’s Limo has luxury vehicles that give residents from Gwynedd Valley a one of a kind experience. 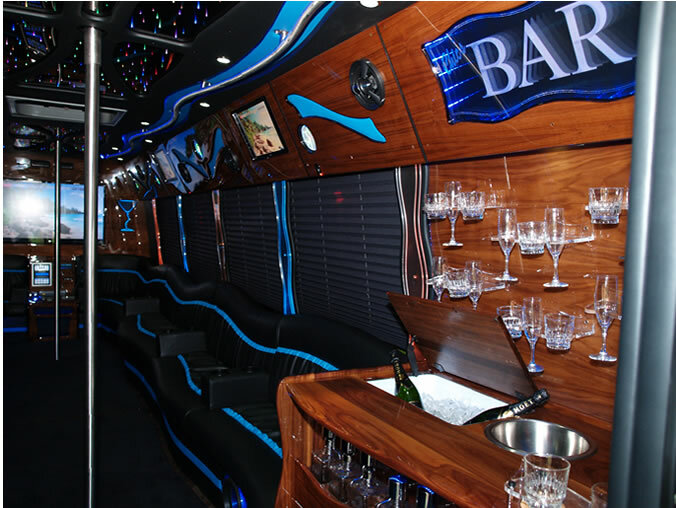 Fully stocked bar inside a party bus! Our buses, SUVs and limos go beyond luxury transportation, however. Our vehicles are all well-maintained, beautifully appointed, and operated by highly trained, safe, and professional chauffeurs. Whether celebrating a special day or getting married at one of the picturesque chapels near Gwynedd Valley, Chic’s Limos has the vehicle to get your around town in style. For more intimate gatherings and events, Chic’s will pick you up in Gwynedd Valley in one of our executive town cars or luxury SUVs.